Yesterday I came across a display of the new limited edition colors from the Sally Hansen Hard As Nails Xtreme Wear line. While I was tempted to pick up all of them, I had to limit myself to three. I ended up with three of the glitters from the collection, since they looked fun and unique. Blue Icing - I will start off with my favorite of the collection. Blue Icing is a frosty light blue, packed with small hexagonal and bar holographic glitter. Perhaps it is just because I love blues that this is my favorite, but I found this color very pretty. It was rather sheer, and took three coats to achieve opacity, but looked great once it got there and would also look really amazing as a top coat to another blue. 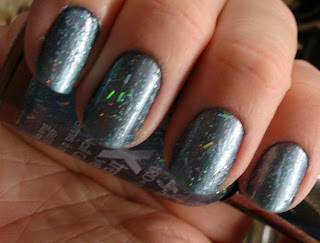 Indoors, artificial light - see the holo glitter! Cherry Punch - this is a muted red, with the same type of holo glitter as found in blue icing. This one almost would have gotten away with two coats, but I really felt that the third coat evened everything out nicely. Golden Child - this is a very warm yellow/goldenrod colored polish, again with the same type of glitter. 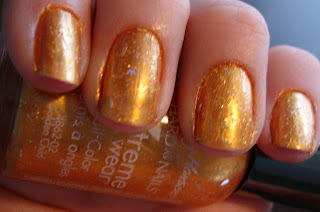 I feel that in this polish, the holo effect of the glitter was a bit muted, but still very pretty. I didn't love this one quite as much as I did in the bottle, but it is still a fun color and I know it will be useful for certain designs and patterns I have in mind. This was three coats as well. Overall, I was mostly pleased with these polishes. I do feel that they looked just a bit more amazing in the bottle than they are on the nail, but they are still fun. 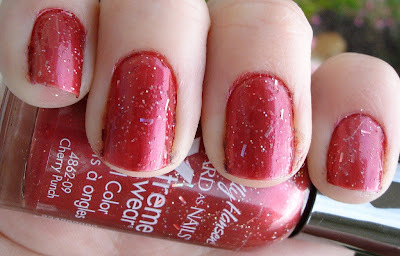 They were all fairly sheer, but had a decent dry time and looked good with three coats. They are also very bumpy, although I think that a decent coat (or two) of a good topcoat like Seche Vite would probably take care of that. 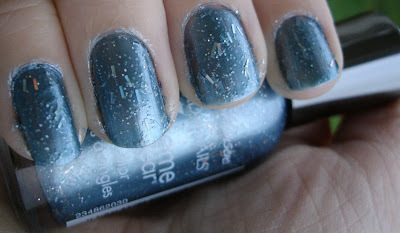 Overall the base shades are very nice colors, and the holo glitter is fun. 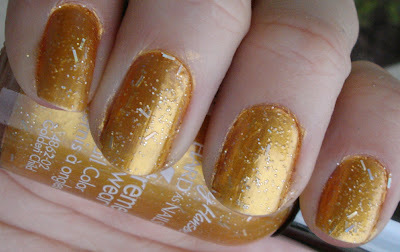 I am not sure how I am liking the bar glitter, as these are my first polishes that have it. I think it is fun for something different but I am not sure it is my favorite. 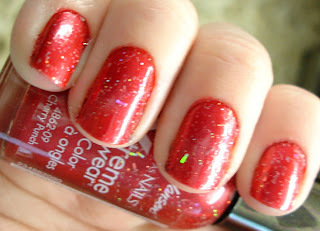 Overall, however, I am liking these polishes and am glad I picked them up last night! What do you think? I like Cherry Punch, but when I looked that one was the only one sold out. I do like that one a lot; they only had one left at the store I was at as well, it must be very popular!